And 2,000 of them came from the seven targeted countries. The U.S. refugee resettlement program has quietly been able to continue its work in the weeks since federal judges struck down key parts of President Donald Trump’s executive order banning refugees and citizens from seven Muslim-majority countries that the administration says are a threat. The order specifically barred any refugees from coming to the U.S. for 120 days and slashed the resettlement quota from 110,000 in the 2017 fiscal year to 50,000. It also restricted travel for all citizens from the seven targeted countries ― Iraq, Syria, Iran, Libya, Somalia, Sudan and Yemen ― for 90 days. 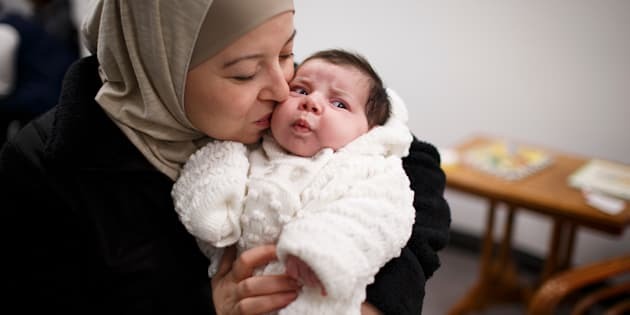 A total of 4,697 refugees have been resettled in the United States between Jan. 28, the day after the order was signed, and Feb. 27, according to Refugee Processing Center data. And 2,177 of these refugees came from the seven countries targeted in the ban. The order was overturned in federal court on Feb. 3 when a Washington state judge determined that there was no credible threat coming from these seven countries. From that point on, resettlement agencies were able to continue their work of bringing people to the U.S. and getting them set them up. But resettling refugees will be an uphill battle going forward. Even if parts of the order were to be permanently struck down, the total resettlement quota was reduced so significantly that many of the people who were expecting to start new lives the U.S. will have to wait much, much longer. “Some of the most difficult conversations [with clients] are happening now,” Betsy Fischer, policy director for the International Refugee Assistance Project, one of the legal organizations assisting refugees, told The Huffington Post. “The number of arrivals is dramatically cut for the rest of the fiscal year so people at the beginning of the process can expect a much longer timeline than before,” she said. As of Monday, 36,822 refugees had been resettled since the start of the 2017 fiscal year, meaning that fewer than 15,000 slots remain for the rest of the year. Trump is expected to sign a revised executive order that will likely look pretty similar to the first one with a few exceptions.